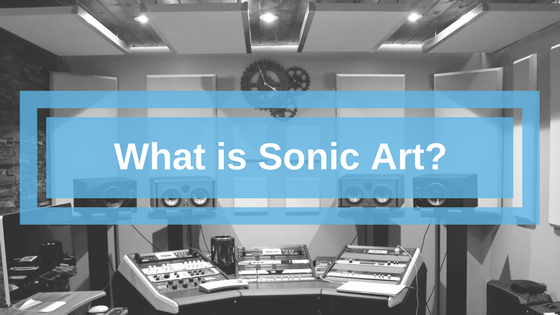 Home > Blog > Sound > What is Sonic Art? What do the United States, France, Germany and China all have in common? They’re hosts to sound art shows. Sonic art, or the creation of visual art using sound waves and vibrations, is a growing area of interest for artists and viewers. If you’re asking, “What is sound art?” keep reading to learn more about it and some of its notable artists. Sound wave art has been around for more than 40 years but was far from mainstream at its start. 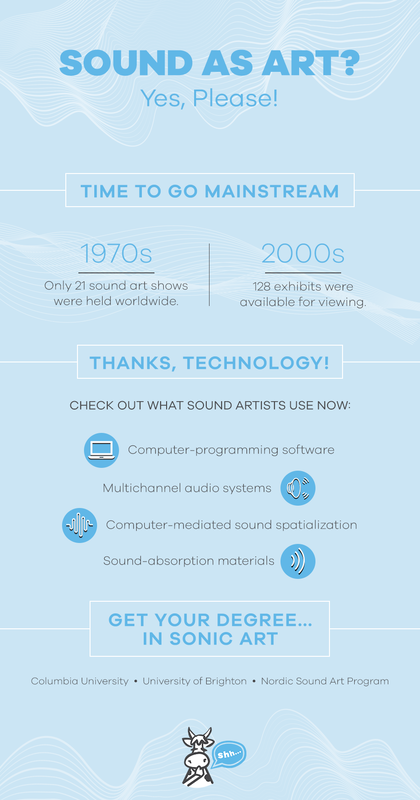 During the 1970s, only 21 sound art shows were held worldwide, compared to during the early 2000s when 128 exhibits were available to see between 2000 and 2009. One of the reasons sonic art isn’t as popular as traditional art forms is because it’s a challenging, non-visual medium. Many sound artists, however, use visual elements in their artwork. Carsten Nicolai, for example, used neon lights and water to show sound, as the sound waves altered the lights’ reflection in the water. What’s the reason for sound art’s growth though? Technology. Sound absorption material is another invention that’s made it easier for artists to practice their craft. It allows them to prepare recordings in their home, as sound absorption materials prevent echoes and improve room acoustics. Some artists feel sonic and vibration art is a phase, yet its growth in exhibits, as well as the advancement of technology, indicate that it may become a part of the art world — after all, it’s been around for nearly 50 years, and college art programs are now teaching it. Carsten Nicolai: Mentioned earlier, this Berlin-based artist has been involved with sonic art since the 1980s. Nicolai’s artwork focuses on audiovisual perception, as demonstrated in his work with lights, water and sound waves. Camille Norment: Sound art shows from this Oslo-based artist mix visual and sound art. Large-scale exhibits, such as the 160-speaker installation of “Toll,” are a notable feature of Norment’s work, which is aimed at creating a psychological response from visitors. Jacob Kirkegaard: This sound artist demonstrates the interest of audiences in sonic art. Kirkegaard has sold several recordings, images and installations of his sound wave art. Kirkegaard has also created underwater sound installations. Christine Sun Kim: Visitors receive a unique experience when seeing Sun Kim’s interactive work, as the sound artist was born deaf. Her work also includes performances and abstract musical notation drawings, which show her unique perspective as someone who can’t experience sound. Janet Cardiff: Canadian artist Cardiff uses past artwork to create her sonic art displays. Cardiff typically uses paintings and compositions from the medieval period. One of her installations, for example, featured 40 speakers playing different recordings of the “Spem in Alium” to create a virtual choir. With more sound art exhibits sprouting up across the country, it’s likely the number of practicing sonic artists will expand and develop more installations that catapult sound wave art into the forefront of the art world. Sound art is an evolving area of the art world. 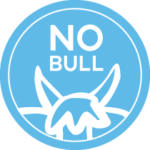 If you want to hear the latest news on sonic art, subscribing to the Bull Bulletin wouldn’t be a bad idea. We’re all about sound and acoustics — you could say we’re udderly obsessed with it — which is why you can rely on us for your noise news.